Sometimes simple is better. Naturally colored with fruit and vegetable juice, low in sodium, pre-cooked, and ready-to-eat. Enjoy as a healthy hot dog alternative, or even add in chili, or pair with rice and/or beans. It’s just that simple! Made with sustainable plant-based protein. Pre-Cooked and ready-to-eat. Ideal for broiling, or the grill, dressed with your favorite toppings. Alternative to beef or turkey hot dogs. 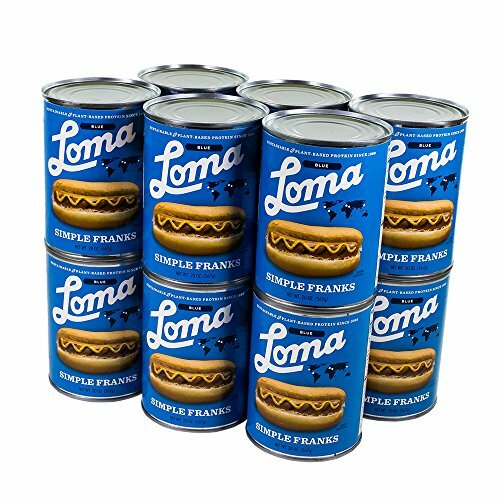 If you have any questions about this product by Loma Blue, contact us by completing and submitting the form below. If you are looking for a specif part number, please include it with your message.